Do you love the cinema? I mean LOOOOVVE cinema. And I’m not talking about the hollywood dramatized blockbusters, but the types of films that remind you that a movie is an artform that should be cherished and respected. 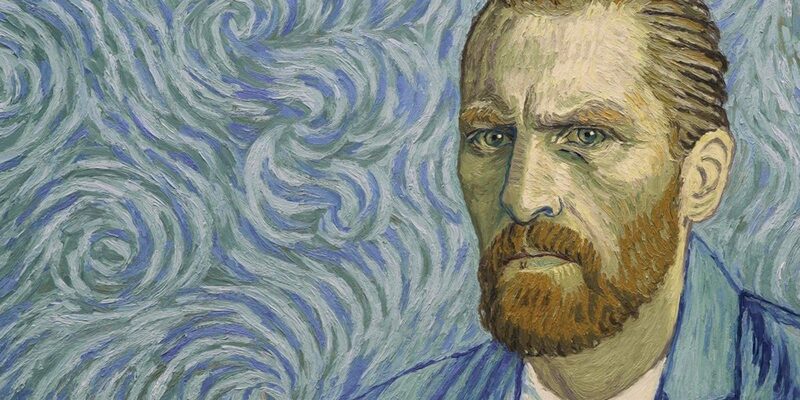 If you value that type of film - do yourself a goddam favour and go and see Loving Vincent. Why, because it is amazing. Firstly, the entire film is made up of oil paintings - similar to the way a cartoon operates, but instead of drawings, the characters are depicted in oil partings to the style of Vincent van Gogh. If you are into big flashy plotlines and effects, this film isn’t for you. Directed by Dorota Kobiela and Hugh Welchman, the film follows Armand Roulin, a friend of Vincent van Gogh, and his journey to deliver a letter to Van Gogh’s brother after the artist’s death. In his efforts to do so, Roulin discovers more about Van Gogh’s true nature and the events leading up his death. You will recognise many of the faces in the film. Despite being depicted as an oil painting, the features are flawless with the likes of Douglas Booth (The Riot Club), Chris O’Dowd (Bridesmaids), Jerome Flynn (Game of Thrones), and Saoirse Ronan (Brooklyn). Switching from coloured paintings to black and white flashback scenes where it’s difficult to distinguish whether it’s a film effect or painting due to the quality of the brushwork, each frame in the film is a work of art, and you can truly appreciate the hundreds of hours of work that would have gone into constructing this cinematic experience. Playing at Cinema Paradiso, Windsor Cinema, and Event Cinema Innaloo, book in for a movie that seamlessly blend art and film.